I am Mohamadiya Hamja, 51 years old, married with three children. 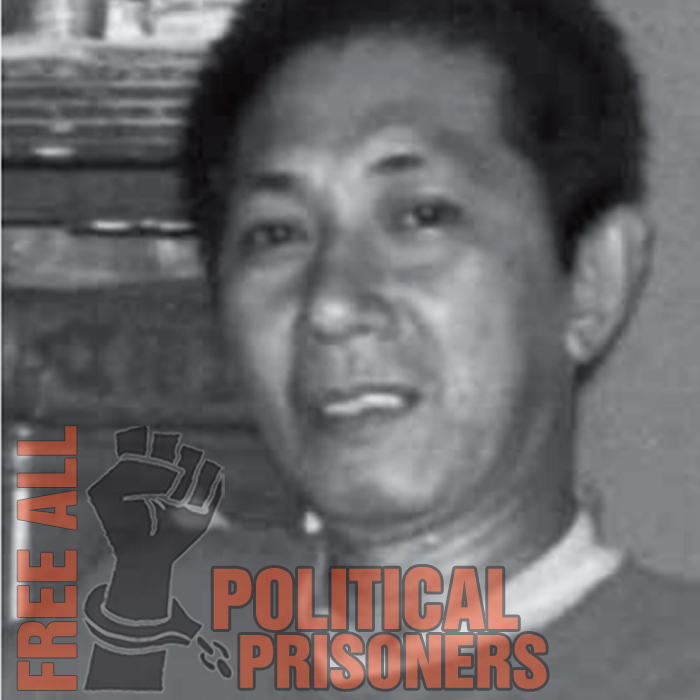 I am presently detained in the Basilan Provincial Jail. I am a ﬁsherman. My ordeal began when former President Gloria Macapagal-Arroyo (GMA) declared a “state of lawlessness” in Basilan in July 2001, after a supposed series of attacks by the Abu Sayyaff Group (ASG) in the provinces of Basilan, Sulu, Palawan and Sipadan in 2000. GMA’s declaration was a go signal for the police and the military to arrest suspected ASG members and supporters. But most of those arrested were innocent civilians. There were several waves of arrests. Some of those arrested were jailedat the Basilan Provincial Jail while 73 were dumped in Camp Bagong Diwa in Bicutan. I was one of them. First, I was accused of kidnapping some 52 teachers and students in March 2000 in Basilan. For this, I was imprisoned in Camp Bagong Diwa. When the case was heard, some 60 witnesses testiﬁed but none of them linked me with the crime. Thus, the Court ordered my release on October 13, 2003. But even before the Court’s decision was implemented, I was again implicated in the kidnapping of tourists in Dos Palmas Island Resort in Palawan on May 27, 2001. The 20 kidnapped victims included the American Gracia Burnham. Again, when the case was heard none of the witnesses, including those who were kidnapped, testiﬁed against me. On June 2, 2001, the ASG kidnapped employees of the Dr. Jose Maria Torres Memorial Hospital in Basilan. They also raided the Golden Harvest Farm and kidnapped two employees on June 11, 2001. Just as in the previous kidnapping cases ﬁled against me, none of the witnesses pointed to my involvement in any of the crimes. For the second time, on June 30, 2005, I was acquitted from all the kidnapping cases. The court ordered my release on that same day. I felt vindicated and thought I could live freely with my family. Because of trauma, my family did not go back to Basilan. We stayed in Taguig City. For three years I tried to ﬁnd whatever menial job I could do to support my family. My two sons helped me. On November 28, 2008, after a worship in the Blue Mosque, armed men grabbed and dragged me into a white van. Members of my family looked for me for days inside military camps and police stations. Helpless after several days of searching, my son went to the Commission on Human Rights (CHR) to report the incident and asked for help. Convinced that the police had something to do with my disappearance, my son returned to the CIDG Headquarters in Camp Crame with a CHR representative. The police denied that I was in their custody. But when my son peeked inside a slightly opened door, he saw my slippers. My son shouted that he saw me inside the room. He blocked the door before the guards could close it. He and the CHR personnel pushed the door until it completely opened. They saw me – bruised and battered. They found out that I was abducted by a composite team of CIDG and the Intelligence Special Force of the Philippine Navy. I was in Camp Crame until January 2009. Unknown to my family, the CIDG ﬂew me to Zamboanga City and then transferred me to the Basilan Provincial Jail. I was already in Basilan when my family was informed of my whereabouts. I was arrested because of two kidnapping cases – the employees of the Dr. Jose Maria Torres Memorial Hospital and of the Golden Harvest Farms. Apparently, after 10 years, a certain kidnap victim Faisal Binasing, appeared and testiﬁed in Court that he was one of the ASG victims and I was among his abductors. The kidnapping case of the employees of the Dr. Jose Maria Torres Memorial Hospital isbeing heard in the Court of Hon. Judge Bucoyof Branch 2 RTC, Isabela City, Basilan. The case of the Golden Harvest Farm employees is in the court of Hon. Judge Leo Principe of Branch 1, RTC, Isabela City, Basilan. My counsel ﬁled separate motions in Branches 1 & 2 of the RTC Isabela City to revoke and dismiss the cases re-ﬁled because of double jeopardy. On June 17, 2009 the Court of Judge Bucoy of Branch 2 supported the motion. For the 3rd time I was acquitted and ordered release. On the other hand, a similar motion failed to get a favorable decision from the sala of Hon. Judge Leo Principe of Branch 1, Basilan RTC. He based his decision on the testimony of Faisal Binasing. My case was already brought to the attention of then CHR Commissioner Leila de Lima. My family also made a letter of appeal to Pres. Noynoy Aquino. On July 2011, my son, with human rights workers, talked to Secretary de Lima about my case. But up to now, there seems to be no hope for my release. I am still languishing in jail despite double jeopardy.